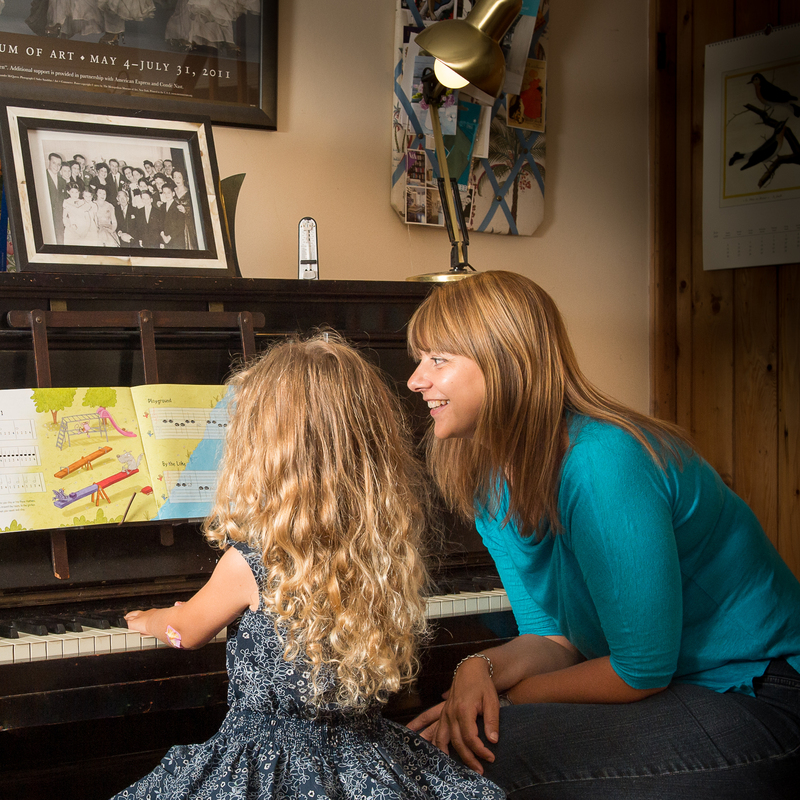 In my blog (click here) I explain why I think it is great to start the piano from an early age – I teach children as young as 3. What happens at an early years lesson? My lessons are 30 minutes. This sounds like a long time for a very young child. However, the approach I take is aimed at developing all-round musicianship together with technical piano skills. Therefore, in my lessons, we will probably undertake between five and six different activities. Activities include rhythm exercises – marching, clapping, jumping – as well as a real focus on singing in order to develop the inner ear. We also spend time working with the wonderful Dogs and Birds characters as a way to develop an understanding of keyboard geography and the ability to read musical notation through story telling. There are loads of different activities which I will adapt to suit each individual child, and often 30 minutes does not seem enough! What about mum (or dad)? I strongly recommend that the parent sits in on the lessons. This is so that they can develop their own understanding about the Dogs and Birds approach and be able to help the child with regular practice between lessons. Only 5-10 minutes a day practice is required for young children but regular practice really does make a big difference to the child’s progress. Are all Early Years’ children ready for piano lessons? The first two lessons with a new child will be on a trial basis to allow me to assess the child’s readiness for piano lessons as well as to give the parent the opportunity to see if lessons are something to which they would like to commit. 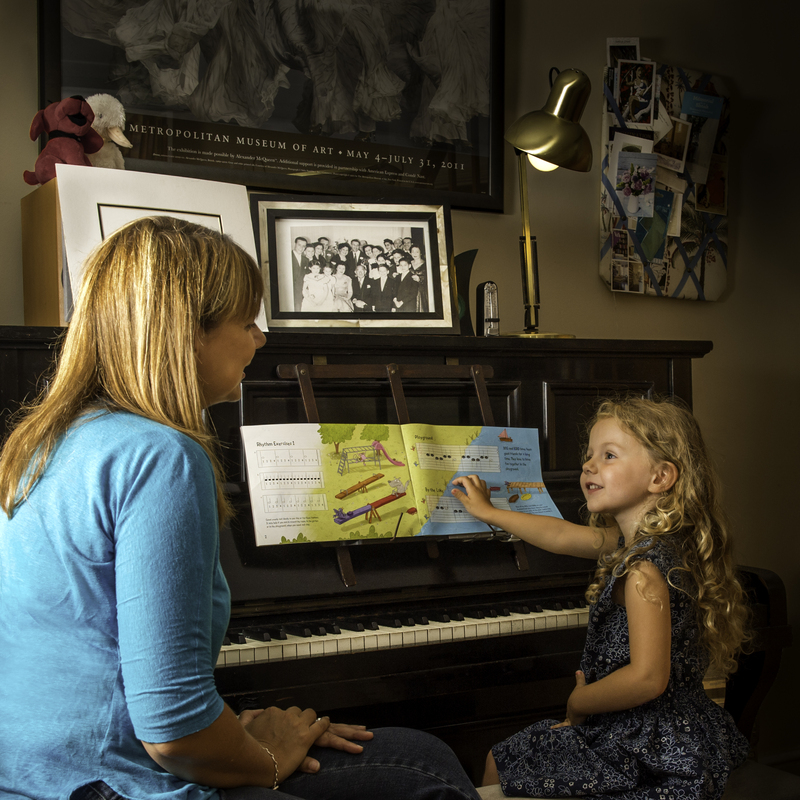 In my experience, many children of 4 and older are ready for regular piano lessons although progress will vary depending on the abilities of the child and the amount of regular practice that they do at home. Some 3 year-olds will also be ready although often the first few lessons are more focused on singing, pitch and pulse development and general understanding of the piano keyboard before any proper ‘pieces’ are played. What type of practice is needed? There are many different activities available for use in each lesson. Practice exercises will be written in the child’s practice book and I recommend that 3 of these are chosen each day – perhaps 2 pieces and 1 rhythm or ear-training activity – or some composition or improvisation (all of which are introduced from the start). That way the practice can be different each day. It is important that short practice sessions are undertaken each day and I encourage it to become part of the child’s regular routine. All children progress differently, but the Dogs and Birds approach is generally suitable for children up to age 6. After the completion of Dogs and Birds book 1 I usually start to introduce other books, the choice of which will depend on the development and interests of the particular child. Throughout the child’s musical education, my focus is on all-round musicianship and ensuring that the child develops a strong sense of pulse and pitch recognition as well as being technically proficient at the piano. In this way, the child will develop their musical self-confidence and have huge amounts of fun in the process! If you are interested in finding out more, or booking an initial session, please refer to my Terms and Conditions and contact me here. I also recommend that you explore the Dogs and Birds website for further background about the development of this pedagogical approach. An excellent point! Let’s do that.